First science paper on hybrid morphology radio galaxies found through Radio Galaxy Zoo project has now been submitted! We also looked at the mid-infrared colours of hybrids’ hosts. 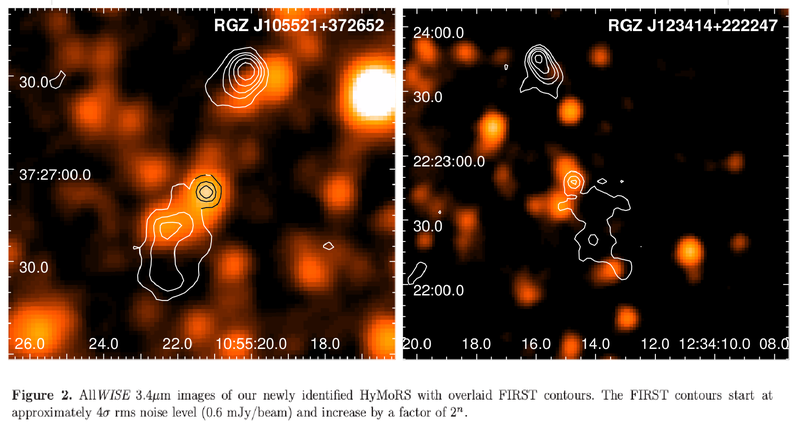 As explained by Ivy in our last RGZ blog post (https://blog.galaxyzoo.org/2015/03/02/first-radio-galaxy-zoo-paper-has-been-submitted/), the mid-infrared colour space is defined by the WISE filter bands: W1, W2 and W3, corresponding to 3.4, 4.6 and 12 microns, respectively.